Stephen Curry reflected on a "pretty special" achievement after surpassing the legendary Ray Allen to become the NBA's all-time leader for postseason three-pointers. 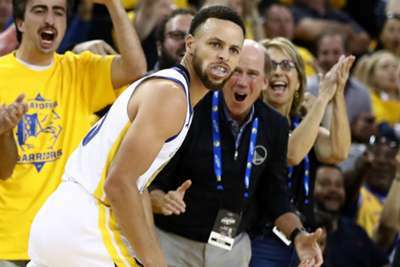 Curry trailed Allen by seven heading into Sunday's encounter and drained his eighth in the third quarter to take his postseason threes to 386. "That's pretty special. I mean, I always talk about longevity and the all-time great shooters. Ray Allen, Reggie Miller - anytime we can pass them in the record books, it's pretty special," Curry said. "I shot a lot of [three-pointers], so I got to make a lot of them. 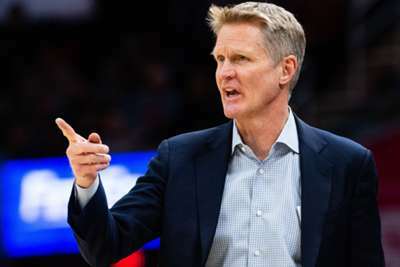 "The way I play, the shots I take, obviously have confidence every time you rise up, but to be in the same category and to pass a guy like Ray Allen and all the iconic moments he's had in playoff games and Finals games and all that type of stuff, it's pretty surreal. "So [I'm] definitely honoured and grateful for those opportunities. I always joke, though: I shoot a lot of threes. I'd better make a lot of them." "That's remarkable, given that he's kind of right in his prime," he said. "He's got a lot of years left." "I don't think there's much argument when anyone says he's the greatest shooter of all time," Green said. "I don't know if you can find many people to argue that."